Road travel tends to peak during the summer months. Due to the hot weather, tire care remains one of the most important facets of car maintenance. Here are some tips for keeping a set of Pittsburgh tires in tip-top condition. Maintaining the optimum air pressure in a tire will help to extend its longevity. Unfortunately, millions of drivers forget to check their tire pressure on a regular basis. 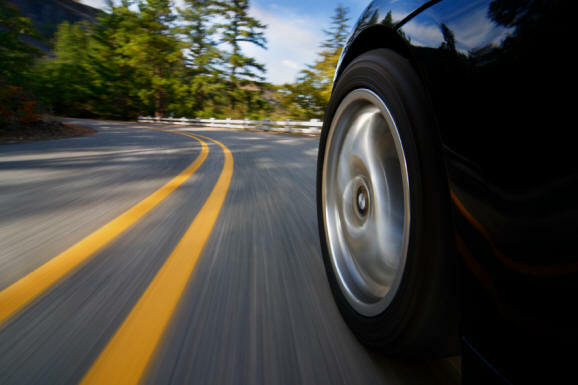 Low tire pressure is especially hazardous when traveling on the highway. Driving on a tire that is under-inflated by 30 percent will gradually destroy its structural integrity. The likelihood of experiencing a tire blowout rises substantially. Purchasing a high-quality tire gauge will enable the car owner to keep tabs on the tire pressure. It is critical that the tires maintain an adequate tread depth. Low tread depth is an indication that the tires are in drastic need of being replaced. Slick tires are especially dangerous when driving in rainy weather. The lack of tire tread reduces the vehicle’s traction and increases the time that it takes to come to a complete stop. A good way to extend tire life is to have the tires rotated at every oil change interval. Irregular tread wear patterns are never a good sign. Some of the things that can cause abnormal tread wear patterns include improper wheel balance, a bad wheel alignment, and worn suspension components. Obtaining a wheel alignment about every 12,000 miles will help to avoid irregular tire wear patterns. A vibrating steering wheel is typically caused by an unbalanced tire. Most motorists fail to inspect the condition of their spare tire. However, a deflated spare tire could be disastrous in the event that the motorist experiences a flat tire while driving. In an effort to enhance the appearance of their vehicle, some car owners apply tire dressing to the sidewalls of their tires. When selecting a tire dressing, make sure that it offers UV protection.